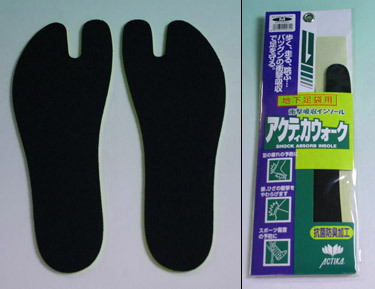 These insoles are made to fit into jikatabi and come in five sizes. They can be used to add extra cushioning or to give a more snug fit if your jikatabi are a bit on the loose side. They're also made to be antibacterial and odor-resistant. Size: 24-24.5cm, 25-25.5cm, 26-26.5cm, 27-27.5cm, 28cm.